& the Hits Keep Coming! What are the Basics of Hitting? 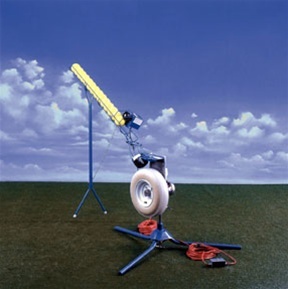 Get perfect pitches up to 6 seconds apart with a Jugs 14 SOFTBALL pitching machine feeder. 11" or 12" dimpled or leather balls will work with this machine. Suitable for the Jugs Jr., Jugs Softball, Combo or Super Soft.